Just after the release of the iPhone 4 in 2010, some customers began reporting that, if you held the phone in a certain way — gripped tightly in the hand — it suffered a loss in reception. This issue, which had to do with the externally mounted antenna of the device, grew to be called ‘antennagate’ and forced Apple to hold a press conference about the issue and to give out a free case to every purchaser of the iPhone 4, for a time. Now, a settlement has finally been reached in the inevitable class action suit that resulted, reports Cnet. This suit combines a bunch of individual actions against the company by consumers unsatisfied with the way that Apple handled the issue in the first place. The suit entitles any US customer who purchased an iPhone 4 to $15 or a free ‘bumper’ case for their device. The agreement to do so is a preliminary one, but the parties handling the suit seem to feel that this is adequate. If you purchased an iPhone 4 and want your bumper or $15 bucks, you’ll be able to get it at iPhone4Settlement.com once the site goes live. There will also be emails sent out before the end of April and there will be a 4-month window after that in which those interested can place a claim. Antennagate was an interesting phenomenon because it presented a rare chance to see how Steve Jobs and Apple handled a real commercial crisis for the company, both in technical terms and public relations terms. From Jobs’ early off-the-cuff emails about how some customers might just be ‘holding it wrong’ to the way that it was able to bring its considerable powers of persuasion to bear with a press event at its headquarters, it’s a fascinating study. In the end, a few tweaks were made to the firmware of the device’s radio in order to minimize the impact of hand placement and the iPhone 4 went on to become Apple’s best-selling device ever. 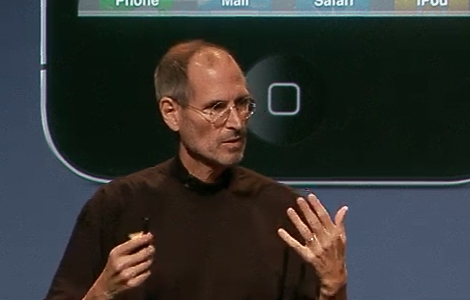 That mantle was assumed by the iPhone 4S, which was introduced a year later with a redesigned dual-antenna setup that exhibited no evidence of attenuation issues.